I have been a podcaster since 2008 with well over a million downloads. I podcast The Prophet of Panamindorah trilogy and The Guild of the Cowry Catchers series during 2008-2011, and those feeds are still free from Podiobooks.com. Those books and others are also on Audible and in the paid Audio Book section of iTunes. The paid version of Cowry Catchers has been remastered to improve the sound-quality of the first 3 books. 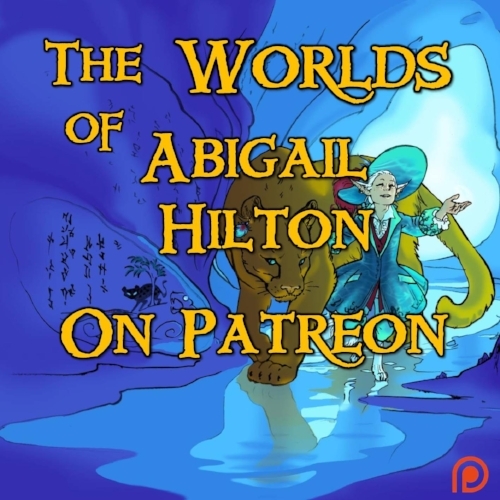 I still podcast weekly updates about my life and writing, along with my new fiction, but I do this on Patreon. It'll cost you $3 per month to get the RSS feed, and then it works exactly like a podcast, dropping into your podcatcher of choice. I write and podcast a short story for the Patreon every month. I also include new novels while they're in production. I also release one chatter episode each month for free on Patreon. You can "follow" me there to get those episodes without donating (the "Follow" button is on the left on any creator's Overview page). You do have to donate at some level (any level) to get an RSS feed, but if you download the free Patreon app onto your phone, the episodes show up exactly like a podcatcher.